Welcome to our inaugural hosting of The Carnival of Capitalists. For those of you not familiar, below you will find a list of the best submissions for the week from across the blogsphere as relates to all aspects of business, marketing, economics and finance. For those new to CityUnslicker and the UK blog scene there is a section at the end with links to some of our best blogs in the genre. Lots of posts this week on how to save money and not get robbed by corporates. Here is one that tracks money saved since Sep 11, 2001 (9 / 11) - Hindsight And Investment Gains!. Then moneywalks some advice to has Overcome your worst fear: Learn How to Save. Then we get to Eleven Tricks Stores Play To Make You Think You’re Getting a Better Deal Than You Are. Some great pieces of advice here starting with Ask for More Money When You're Offered a Job. Then we have some more steps to help achieve the right frame of mind for yourself when considering business as a career, such as Top Secrets to Achieve Success, make Money or Whatever you Wish in Life. Randy Nichols then presents Fast Paced Success - Considering a Career in Business. Now that you are up and running we then reach How to build confidence and close more sales, useful for me in my new job! Warren Wong presents makes us think with an excellent piece on What Do You Actually Buy With Money? A good way of explaining the fallacy of sunk costs. Chris Russell submitted this article on how to go for exponential growth with a real strategy Boldly Go Where No Has Before - Prepare to Do 20 Times More by Looking Five Years Ahead. Jay Deragon, not to be confused with Jay Solo who founded CotC, has his own take on quick fixes from some business problems here. This article looks into the downsides of trying to get away which paying for cheap staff Can You Afford To Pay Minimum Wage? Then Charles H. Green has Customers and Strategy Part 2 of 2: Customer Centricity vs. Customer Vultures, which is an in-depth look at how difficult different organisations seek to work with one another. 10 Things to Do Before Starting A Business : Step 1. The we will need this Write A Successful Business Plan On Your Own. Vihar Sheth starts What's the Point? A reminder that small actions can make a difference. The a look at one of the biggest growing sellers in the US car market How Popular is the Toyota Prius? ~ Hybrid Car Review. Golbguru then submitted a great piece on a current global story: Who Is Responsible For Lead In Toys? Sophistpundit: Enough with the interest rates already has clearly heard enough though! More on the travails of the dollar include The Weak U.S. Dollar And How The World Is Pawning Us » Money and Personal Finance Blog In Silicon Valley, and How Far Has the Dollar Fallen? And Why? I have 3 recommendations to get you started. We have Tim Worstall who posts from a libertarian point of view, then a Marxist economist for an intellectual and yet accessible set of opinions. Finally a blog called Burning Our Money which highlights the money poured down the drain by the UK government. ...will be a little different this week. We are hosting the international Carnival of Capitalism this week, which will replace the Business round-up just this one (how many more angles' can we find to the credit crunch anyway...). Here is last week's Carnival. 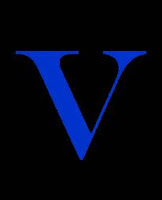 As some of you will have seen, this not so humble blog was ranked 33rd best right leaning blog and the 68/500 in terms of political blogs. This gives myself and The Drew great satisfaction; especially that we are 2 places ahead of Stumbling and Mumbling, a fantastic blog whose only fault is the author's attempt to stay a Marxist in the face of all reason and rationality. Clearly, we are over-ranked in this respect by the polls don't lie, do they Gordon? Anyway, thanks for all the votes from the readership and also to the many commenters here who make this place a better read. Dearime deserves a special mention as does the recent Anon who clearly knows his onions. Ed, Ellee, Welshcakes, James, Sackerson and JJ are always good for some interesting points and Mutley has his own unique take on things. Beer in hand - here we go ! In comments to the previous post, it was suggested that any bank seen taking Bank of England emergency lending would be committing stock-market suicide. Is this right ? On the one hand, Northern Rock is certainly in a bad way – but this did not start with a BoE bail-out. On the other hand we have Barclays, which on 31st August admitted it had needed some short-term £££ from the Bank “after a failure in a trading system” on 29th. It then transpired this was the second such call it had made in less than two weeks, which starts to look careless. Has this hurt Barclay’s share price ? I’m not sure. Firstly, compare Barclays with another Aa1-rated bank, RBS. Their share prices have tracked each other quite closely since the start of the recent turmoil. In fact, RBS has lost slightly more value over this period. The one time Barclays dipped noticeably lower was on 28th August when it announced its exposure to the sub-prime market. 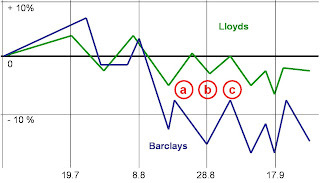 Now compare Barclays to Lloyds-TSB, the UK’s only Aaa-rated bank – see the chart above (data source – Yahoo Finance: full chart there). The initial parting of the ways 12th-17th Aug (a) was suffered likewise by RBS. The plunge on 28th was a Barclays-specific phenomenon (b), noted above. In the subsequent period (c) when its recourse to the BoE was revealed, it actually recovered somewhat and, like other banks, has stabilized into a pattern that is rather more volatile than in normal times, as you’d expect. Unsurprisingly, Lloyds has done better - but by no more than might be explained by its higher credit standing (and perhaps a tad for Barclays’ “systems” failings). Wolf at the Door ? Not so long ago we were reporting how Barclays and others were screaming for the Bank of England to pump liquidity into the system. Today the sorry tale went full circle: after much arm-twisting the BoE offered £ 10 billion of 3-month money to the markets at the ‘penal’ rate of 6.75 %. How penal is that ? Well, 3-month LIBOR peaked recently at around 6.7 %: so - not the kind of ‘penal’ interest-rate you and I recognize, (although obviously wholesale margins bear no resemblance to retail rates). And how desperately was this liquidity needed ? yes, you guessed, not a single penny was taken. So – what the banks really wanted was a whole heap of cheap money. Now there’s a thing: we'd all have some of that ! The BoE has come in for its share of stick recently, but in the intolerable circumstances and on balance, I reckon it’s played a clever hand. Tonight the egg is on other faces. And when one day the wolf really is at the door, how will we know ? One thing’s for sure: you wouldn’t trust Darling or Brown to be able to tell. Just as unexpectedly awful public finance figures are released, in turns out the Office of National Statistics was not initially being given the whole picture on Metronet and Tube Lines, two of McBroon’s little ‘off-balance sheet’ PPP schemes. The ONS had not been made aware that London Underground Ltd – part of the public sector - holds a Special Share in both ‘private’ companies. Nor was the ONS aware of the extent of London Underground’s powers of control over the two firms “which have been in place since the [PPP] contracts were signed” in 2002-03. Then comes the pay-off. “The inclusion of Metronet and Tube Lines in the public sector leads to changes to the key public sector finance statistics: public sector current budget (the Golden Rule measure), public sector net borrowing, and public sector net debt (the Sustainable Investment Rule measure).” The ONS considers the net impact will be "relatively small". The real point, however, must surely be that they were kept in the dark, and only stumbled upon these Special Shares, four years after the fact, during their own researches. What else has the Kirkcaldy Coward kept from them ? Gordon Brown knows full well that between now and the next election a number of very ugly chickens will be coming home to roost. Indeed, a handful of the blighters turned up this summer. So in today’s speech we saw him give a first outing for his brazen strategy of trying to turn this to his advantage. Conclusion: “Britain has been tested [read: I have been tested] and not found wanting”. An attack on Brown is an attack on us all. This strategy is infinitely adaptable. An overworked RAF helicopter crashes in Iraq for want of spare parts? “We applaud the courage of our Armed Forces.” A new outbreak of teenage gun-killings on unpoliced council estates ? “We, the majority who deplore guns, congratulate ourselves for being horrified by this violence.” Etc etc, it’s quite easy when you see how it’s done - look at the first 15 minutes of his speech. There is a pressing need for a counter-strategy, to make him acknowledge paternity of the returning fowl. Apparently the Conservative Party pays its two main spin-doctors £ 500,000 a year. Let’s see them earn their keep. Northern Rock speculation pt2 - Shares to sink to near zero value. This is more accurate. The way market psychology works the bank will go for a pittance. Clearly I never/can't give advice, but this would be in theory very courageous punt. More fun from the EU - new changes to company regulations will push down dividends, super-dooper being in the EU isn't it? Secrets of Alibaba - Interesting look at one of the success stories of China and a key exporter to the West. Saudis to Abandon Dollar - This could really change the world. The Euro will be pushed up just as it needs to come down a little. Maybe the pound too? Ouch. End of the battle - RBS to win ABN. Will the price be worth it in such a changed wold? BoE to cut rates? - With the U-turn complete on monetary policy and a long-term wreck in sight this could no doubt happen. More interest rate cuts to feed the credit market and more spending of future prosperity. Loony Fayed - Plans for a zoo on Harrods roof...what more is there to say? People who sell houses for a living say is still housing is safe investment - not strictly business news, but worth a read if you want to see the sunny side of life and fell undue optimism. Trade war looms - Bizarrely the US and EU are taking each other to task about the huge subsidies that both give their airline manufacturers. No, not just England’s win against Samoa, but some rather encouraging news from, of all places, the European Commission. It is pursuing a twin-track energy policy, trying to bring about true competition in the gas and electricity markets (on the UK model, in fact) at the same time as bolstering security of supply. German and French vested interests (not to mention Gazprom) argue you can’t have both. They are wrong: proper market design can achieve better security via more competition. However, squaring the circle isn’t just a difficult technical task for regulators and market-designers, it’s an uphill struggle against both active resistance and uncooperative dumb-insolence. (1) gain the vital benefits of 'unbundling' the operation of infrastructure from commercial energy-supply, without forcing the aforesaid vested interests actually to divest themselves of the infrastructure. Unbundling is a sine qua non of competitive markets, and mere ‘administrative separation’ has completely failed to work the trick. Full divestment would be best; but placing the operatorship in the hands of an independent third party (as happens in the UK where regional monopolies are unwilling to divest, i.e. Scotland) is a pretty satisfactory second-best. (2) keep European energy markets open for inward investment without allowing, err, Gazprom (or Algeria's Sonatrach), to buy controlling interests until it has met several important tests (don’t hold your breath). Gazprom has been relatively restrained in its immediate response to these moves. They’d prefer the field to be left wide open to their divide-and-rule tactics, but the Commission is proving remarkably focussed on its twin aims, and Gazprom will need to find ways to play ball under the new rules. Take a bow, Jose Manuel Barroso, Andris Piebalgs and 'Steely Neelie' Kroes. I (CU) am very tired indeed after a hard week in a new job and still having a young kiddie who is not sleeping much. - Brown has caused an almighty mess this week by nationalising the Northern Rock. For many reason which various super comments have made here, the reasons behind this make little economic sense. They do though provide a rather nice little sunny patch for a few months; just enough for an election? 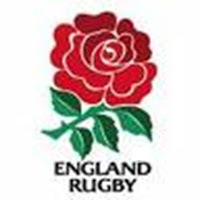 If you think about Darling and Brown sitting last weekend and panicking so much they wrecked the Bank of England's 10 year old reputation; they only did this because it was ruining their plans. 70% chance of an election this year, 20% next and 10% in 2009 by my reckoning. Secondly, increasingly having been so critical of James Higham on various of his posts about a global compact led by CFR and Bildebergers' too cause a huge depression in 2009/10 - this now looks to be the economic situation we are facing. The governments of the West are buying current prosperity from the future at a record rate. Maybe I should agree with him more often. The price of oil hit $83 today; A record high yet again. To all those who think rates have peaked and are on their way down, think again! Even as the Dollar falls the real price increase is relentless. In the UK a litre of petrol will soon be over £1; a frightening prospect for motorists. High inflation during a slowdown will be very painful economically if it happens. All this is forgotten in the midst of the credit crunch. Some of the price is hedge fund speculation though; let's hope that unwinds. The Bank of England has today decided after all to pump money into the markets. This is in direct opposition to what it had said and done since the middle of August. As ND has described so well below, the Bank had supposedly been strong enough to let the markets sort out their own mess. Northern Rock changed that and it is clear that there has been extreme pressure on the Bank to change course and copy the US and Eurozone in major support for the banks. Not only in the UK, but the Federal Reserve in the US has followed effectively the same line. A 0.5% cut in US interest rates has been agreed. This will no doubt help to end the credit crunch before Christmas and avoid a recession. The problem though is that all we are doing is putting off the inevitable recession. Too much money has been lent recklessly and this has to be put right. Merely allowing conditions to continue to encourage this behaviour makes no economic sense. It makes political sense though, saving the Republicans in the US and stopping Gordon Brown from becoming a lame duck Prime Minister in record quick time. So what do do? Well with this level of government intervention (currently all those highly paid bankers in London are effectively now state employees working in the public sector!) the only ting to do is ride the Bull. 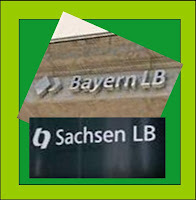 Bank shares will go up and so will the stock market in the short -term. Sure it will all end, increasingly like likely to be in 2009 to 2011 as James Higham has often predicted. Until then make hay while the sun shines; the night will be much longer then. Sants' newness in rôle (July '07) doesn't get him off the hook: he was an internal appointment and had been an MD at the FSA since 2004. ● Moral Hazard (Mervyn King on Wednesday): if the company runs with a stupid business plan, and/or behaves recklessly, the public purse should not be used to indemnify them. ● Moral Relativism (Mervyn King on Thursday): “Sources close to the Bank of England said it would only lend to a bank it considered to be solvent and suffering a short-term problem rather than heading for full-scale bankruptcy”. Clearly the last two have nothing serious to contribute: they are morally bankrupt and i utterly diskard them. What of the others ? The Moral Hazard standpoint is initially very attractive, and widely presumed to be what Mervyn King really thinks, prior to having his arm twisted sharply by Downing Street. This is Darwinian capitalism . 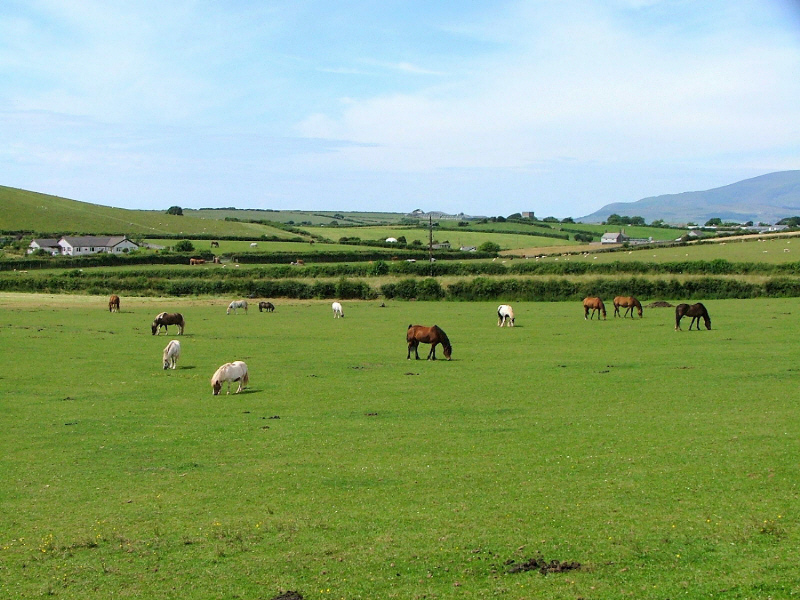 To flout it is to do worse than just remit to the bonus-jockeys the winnings of their one-way bet, their premium-free insurance pay-out: it is to give a lease of life to large-scale economic inefficiency, which will cost us all a great deal more in the long run. However, banks are banks: and we are in widows’n’orphans territory here. The reasons for hedging financial institutions around with complex rules, policed (*huh ! *) by the FSA, is that it is socially unacceptable for innocent depositors to lose their all, when they are in no position to form a view on the creditworthiness of a bank or its bloody business plan. Caveat emptor cannot be applied to domestic depositors. But banking is an enormous social good, the bedrock of capitalism and the free society. This being the case, a two-tier protective system is erected around those companies wishing to enjoy the privileges of being a financial institution. 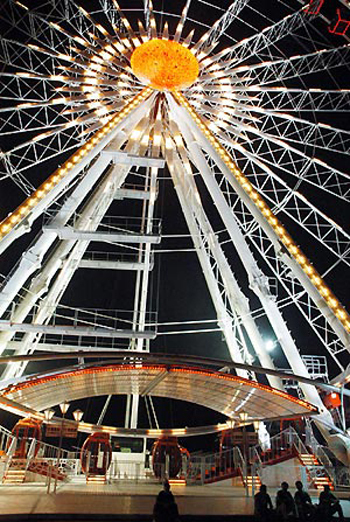 The second of these – the safety-net, which is not really meant to be used, is the Lender of Last Resort. It is this which is in the spotlight at present. Nobody (except, erm, us) seems to be commenting on the first and primary line of defence, which is Capital Adequacy. Banks must make complex calculations, daily, to quantify the risks they are running, and put aside cash (or other wholly liquid, risk-free assets) to cover the downside. The FSA must ensure they are doing this correctly. Since maintaining Capital Adequacy is a cost on the bank, it ‘penalises’ bank shareholders who allow risky strategies to be pursued, as is right and proper. Now Northern Rock’s business model is relatively simple, if relatively unusual, and not a difficult one to assess for its inherent risks. I will not bore readers with the details. The fact that it was indeed a relatively unusual business model for a bank should have had the FSA all over them. I would strenuously dispute the third (but not here & now, you will be pleased to learn). SO – who takes the rap at Northern Rock AND the FSA, for failing to ensure Capital Adequacy ? 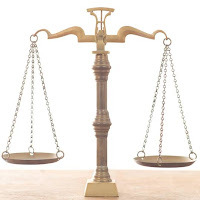 There can be criminal penalties for flouting FSA regulations. We need to see some very public examples made here. Finally, and back to the beginning, should NR be bailed out ? On one thing I am sure: ordinary depositors must be given well-founded confidence in the banking system. If the safety-net must be used in this case, so be it - whether or not the bank is solvent (pace the Thursday Mervyn King). But let the authorities re-visit the first line of defence and the integrity of its foundations (and policing), to ensure the second line is not required again. 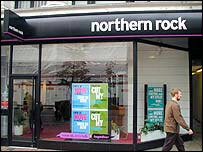 Northern Rock sale -It has only taken 2 days for this business to have to put itself up for sale. So when a bigger one goes pop, maybe give them a week? Meanwhile in the US - banks are asked to be more straightforward in their accounting to help prevent the crisis getting worse. All very well, but without pushing the boundaries where are their profits coming from? Housing in the UK - Housing boom over, HIPS, interest rate rises and sub-prime crisis have finally slayed the dragon? Too early perhaps to say Hooray at last? Good news somewhere in the UK - John Lewis, the staff owned retailer, makes huge profits for the year. Bids on the Edge - Barclay's looks doomed, whilst Sainssbury's might be left at the altar. Metronet fall out - Tube upgrade and maintenance due to be delayed over cost wrangling. HSBC vultures - Are the management under threat from their investors over strategy? I doubt it, the bank is still very solid, despite the crisis. Branson over the moon - He will step up to the Google challenge of being the first to send a private space craft to the moon. Don't bet against this one with Virgin Galactic about to get off the ground. Yesterday saw a huge disaster for one of the UK's biggest mortgage lenders. Northern Rock announced it had had to seek special credit lines from the Bank of England; the result was a 30% fall in its share price and a run on the bank. Over £1 billion of savings was withdrawn yesterday and on the news this morning people are queuing to try and get their money out. The bank of course is saying there is no need to panic and Alistair Darling chipped in to this end too. 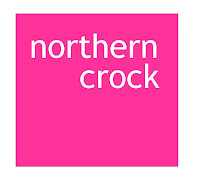 So is there a need to panic and withdraw funds if you have them in Northern Rock. On the one hand, probably not, even if the bank is in difficulties, the most likely outcome is another bank coming in and buying it for next to nothing; so there would be no problem with the funds held. on the other hand, as the deposits are withdrawn and the Bank continues to struggle to raise finance in the stalled credit markets, the situation gets worse. With no money to lend for new mortgages and loans the whole system seizes up. If I was a pensioner with all my savings in Northern Rock then I would be there today getting my money out. If banks do go under you are not guaranteed to get back much past £2000 of deposits; so why take the risk when there are plenty of other place to put you money. Today is the day we find out what this chap is made of. Because whatever it is, it is going to be spilled across the pitch for all to see. After a rather off-beat post last week where I expressed my republican sympathies (not greeted to well in the comments), I ran a poll on who would be the best British President were we to ever take the sensible route to ending feudalism in our country. Unsurprisingly to me, many of you decided to vote for the current Queen to be president. Yet as I thought about this, what a fantastic idea it is. Why should we not elect the Queen? She is very good at her ceremonial job and has all the right experience. We could vote her in for a 5 year term, perhaps even twice. Then we could decide if Charles was up to it or perhaps another Englishman could be deemed worthy (I think my vote would be for Jeremy Paxman). So this is in fact the perfect arrangement for a phase to move towards a Republican state. Saw these today, blimey what a mixture of ill-thought out and regressive ideas these are. Make short-haul flying more expensive; that won't bother Zac Goldsmith will it? Also do you think they have heard of Open Skies; reducing short-haul flights from Heathrow means the airlines will put on more long-haul flights, a slot can be used for anything. How exactly is this going to cut greenhouse emissions? Ban Airport expansion; let's just give with this whole economic growth thing, eh? The only half sensible idea is a tax on less green cars, but Brown has already done this through the road tax system; so this idea adds nothing to the debate. Finally, allow councils to make supermarkets charge for parking ? How is this a vote winner. Supermarkets are genius, all our food and goods in one place. Very economical and environmentally friendly. Surely a better and more conservative idea would be to stop councils charging so much for parking in the high streets. I just hope Cameron has the sense to dump this batch of loony ideas, none of them are really sensible or vote winners. The Commission for Equality and Human Rights - an Orwellian construct if ever there was one - is advertising for a Director of Business Planning. One of the lucky appointee's key roles will be to "own and operate the CEHR's new public benefit test, a crucial tool..."
Now the Public Benefit Test is in fact 'owned by' the Charity Commissioners, under the 2006 Charities Act, and it is already proving controversial: it is being argued that Public Schools will need to jump through considerable hoops to pass this test and retain charitable status. So what does the CEHR have in mind for use of this 'tool' - or perhaps we should say weapon ? For starters, since it doesn't belong to them (the phrase appears nowhere in the 2006 Equality Act that established the CEHR), obviously they intend to make a grab for it, or invent one of their own. We can only assume they then intend to go looking for places to apply it - perhaps to beat up on charities ? perhaps to claim that it should apply in other walks of life ? And, doubtless, they will be keen to place their hands warmly around the throat of the definition of the phrase 'public benefit' which, helpfully, is not defined in the Charities Act. Sounds of another doctrinal battleground being prepared. I heard on the radio today Naomi Klein being interviewed by Simon Mayo. He did an ok job but she came out with some pure genius moonbat left-wingery. Whilst harping on about a new book ( a must read comedy as far as I could tell), she insisted that after Hurricane Katrina in the USA last year some Republicans were feeling extra mean and got together in Washington to be evil together. They worked hard on their evil plans, and came up with the following. make the affected zone a no-tax area to help re-development, introduce a voucher system to help get the school system back on track as fast as possible and re-zone some of the city so as to make it more efficiently planned that before. She added nothing to this; clearly the pure evilness of this plan is such that it needs no further explanations. How much more evil can you get than this? Oh, and Thatcher's reforms were so terrible that they destroyed Britain economically, apprarently. Lefties, they do make me laugh. A little while ago I wrote about how Union agitation was on the increase. 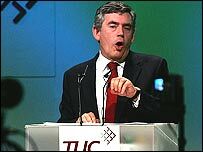 Well today the most glorious leader Gordon Brown when on to home turf at the TUC and brought forth his speech to soothe all merry Engerlund. A truly shocking performance too, I thought as I listened to ti on the radio. Worse for a typically BBC bit of spin polishing afterwards (look in the mirror one day John Piennaar). This is very back to the 70's, sadly there are 7 million economically inactive people in our economy. Luckily for us Brown says he wants to match 500,000 jobs on offer with 500,000 plucky winners at the job centre. Even better he says a partnership with supermarkets (please help in the comments with a suitable supermarket synonym for McJob) will help produce even more tractors, I mean jobs. No mention of perhaps cutting taxes, not penalising small businesses, not signing up to further EU red-tape that reduces risk taking and new start-ups. No, we don't need that, we just need our army of civil servants to help match single parent Mandy in Hoxton a job at Morrisons in Yeovil. Huff & Gruff - there are so many problems at some many levels with this speech. perhaps this is why the TUC clapped so hard. They love hearing economic nonsense and hate hearing reality. "There will be no public sector wage rises, because I want to keep the economy stable and create more jobs"
Yep, this one was a real belter. You see now, after 5 years of taps on public spending splurge, which has led to public sector wage inflation of over 5% per annum, Brown says he wants stability. Never mind that many of the people are paid so little they are on one or another form of benefits anyway. We need stability....so that we can have more public sector workers of course. On small, non-increasing wages too. Brilliant, millions more Labour voters guaranteed, stuck forever on the state teet. This is his vision of Britain, hard work for meaningless jobs, often to give administering benefits and support for other public sector workers. In fact a balletic merry-go-round of do nothing activity. Brasil was supposed to be a joke, yet art becomes reality as so often in life. Waste of Money - or Bear Necessity? The RAF's new Typhoon fighter has received its share of criticism as being a weapon designed for a Cold War that no longer exists - or, less kindly, as an expensive toy for Air Marshals wanting to get their rocks off. Truth be told, even the Air Marshals were beginning to wonder whether they'd backed the wrong horse. To impress Tony Blair when the Defence Budget came around, you needed to be seen to be pointing in the direction he favoured. And so, in last year's official RAF Strategy 2006 document, the priority was to 'develop expeditionary airpower', which means supporting the Army in far-flung operations, for which the Typhoon is not at all ideally suited. And then along comes our old friend the Fighting Bear - no, not Sackerson, but the Tu95. And not just in ones or twos, but now trying its luck in wings of eight at a time over the North Atlantic. Not much of a threat ? Don't laugh: the Tu95 is no older than the B52 - both perfectly serviceable airframes into which modern avionics and missiles can be loaded. And that's how quickly events move on in the real world. Trouble is, though Russia can turn stroppy overnight, new aircraft programmes take, ooh, around 20 years. Maybe not such a bad investment after all. ...and until Sunday (from me), due to family parties/commitments. Have a nice weekend all, summer is here at last in the UK, only for a few days so make the most of it! We live in interesting times right now. 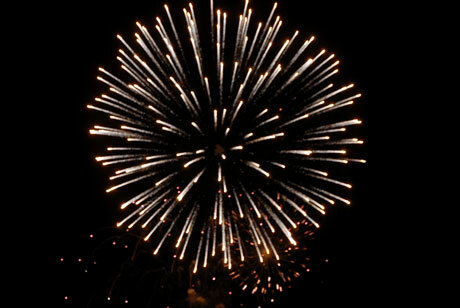 September and October are traditionally the most volatile months of the year. All the problems with the credit crunch are working themselves through, but slowly and still more opaquely than the governments and central banks would like. The Bank of England today decided to hold interest rates at 5.75%, reversing what had been expected to be a rise to 6% just a few weeks ago. However, the price of crude oil also was steeply up this week, at $76.41. Add to this all the money printed to help the banks through their difficulties and we have some major long-term inflationary pressures. It is hard to predict which of these is going to unwind first and which will cause the most difficulty. However, at least one of them will as they are all linked in one way or another. My guess is that at last house price inflation is going to come home to roost and that in turn will slow the economy, even if we don't have a huge recession. The kicker is that the other issues are likely to support inflation; meaning we are in for a bout of stagflation at best. Stumbling and Mumbling did a great piece on nailing the current rubbish excuses being trotted out for England footballers', speaking of which I really like this Discursive Monologue tracking his own expenditure for all to see. Newmania's post on the collapse of England was a classic in a way that only his can be. Nourishing Obscurity has been particularly good of late, with some fine and interesting comment on the world financial crisis. And of course, the ever growing and developing Blogpower movement has a huge variety of bloggers and topics, all in the links here, who have many more interesting and exciting things to talk about, eh, Sicily Scene and Theo Spark? So it comes as something of a surprise (hem hem) to learn that several staid, socially-responsible German regional banks are heavily exposed to US sub-prime mortgage risk! Surely some mistake, I hear you cry: are not these institutions the epitome of rectitude, the conservative pillars of the German economy ? Which perhaps explains why the German government has been so swift to bail 'em out. Perhaps the provincial Dummköpfe hope we all realise they have been bewitched by these instruments of the sophisticated Anglo Saxon devil. Meanwhile, the Bank of England continues deaf to Barclays' pleading. So which is the more disciplined market ? I know what I think. Bertie Ahern (and Guido) will be pleased, with the results; Irish eyes are smiling you might say. I voted for the US, so that shows how popular I am! Noticeable too was the complete lack of support for the UK, given that 75% of my readers are from the UK. Sweden too has its supporters and this does not surprise me. What would interest me to know in the comments is whether people have visited or lived in these countries. I know the UK, have lived in the US and have Irish family. My knowledge of what it is actually like to live in Sweden is limited to various bits of biased information in the Media. So the first week back from the Holidays and still the credit crisis dominates, but all will be ok now thanks to GWB and Ben Bernanke? Bush moves to help end the sub-prime woe - At least there is some help for the people in all this, rather than just the financiers. Barclays in a hole - Bob Diamond tries defend the position of the most exposed UK bank. GE in to buy Southern Water - still plenty of money left in the utilities in the UK market. Bonus culture to blame for credit crunch? - A good article by Dan Roberts here. UK home repossessions up - The price falls are not so far away now then? BAA recruits Rudd - All the pressure on BAA has led it to try and up its boardroom credibility. Qatari's to buy LSE? - The takeover talk never ends on this premier British business. Will China's boom end soon? - Speculation in the Times. Arsenal gets a Russian billionaire - The lure of the premiership is as strong as ever. i wonder when this bubble will burst though?